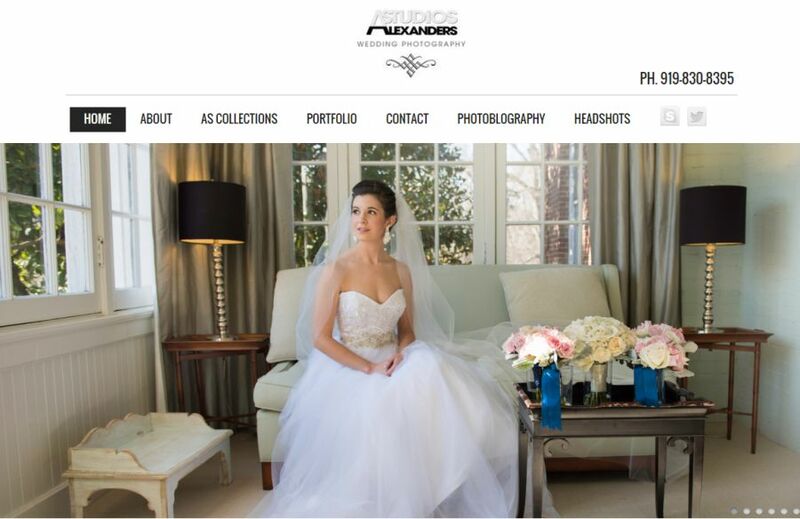 Do Photographers Really Need A Real Website Or Will Social Media Do? The screenshot above is from a photographer friend of mine: Stephen Alexander. As of this post, Stephen Alexander is using the GoDaddy website platform for his website and he has done a great job it. However, I'm not saying that GoDaddy is the cure all for photography websites or the way that you should go with your photography website. I am simply stating a fact and one of many options. The key takeaway from this post should be whether forwarding your domain to your Facebook business page or other FREE social media site is the best option for your thriving photography business or soon to be thriving. Sure, you can use a real domain and someone can visit that domain to see your Facebook business page, but what if Facebook takes down your business page for whatever reason they want to. I don't like FREE because you truly do get what you pay for in the end. With that said, you don't have to pay thousands for a website either. You should seriously look into options for a photography website that is self hosted. That puts you in control. Oh sure, there are things that can happen with self hosting like being hacked, the hosting being down temporarily, etc., but at the end of the day, I don't want my business that is generating income to support me to be on a FREE social media site or any other site like a FREE WordPress option. If you going to use WordPress, you should make sure it is self hosted and not the free version. Don't be fooled by FREE and EASY! Do it right! It's your photography business and your decision. However, I would seriously consider all the options available and look into having a nice regular website which will likely set you back a few hundred dollars potentially unless you find a paid point and click option that allows you have a self hosted option. Don't continue to add your work to a FREE website option without having it backed up somewhere and ready for the day that you make the leap to a full blown real website. It is the modern era of the Internet. The Internet is no longer something new. If you are building a full time photography business not just a part-time do it on the weekend business, make sure you embrace technology and have a regular website. FYI, it's not a bad idea for someone part-time to have a regular website either.